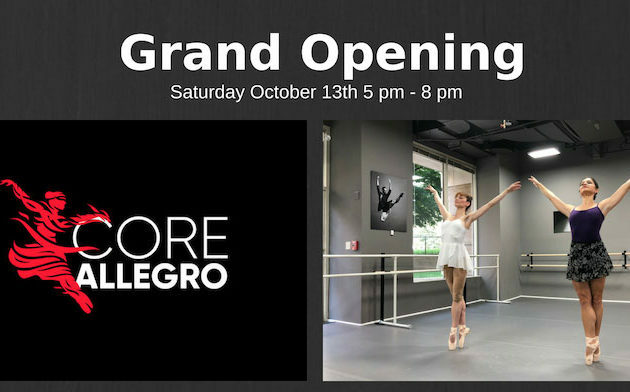 Core Allegro is a new Refined Pilates, Ballet, Adult Ballet, and Rehab studio celebrating their Grand Opening Saturday, October 13th between 5 pm and 8 pm in Ballston. The address is 4001 Fairfax Drive, Suite 125. Core Allegro was founded and is operated by Professional Ballet Dancers.